Omal electric actuators have a state-of-the-art production line dedication to their fabrication, which contributes to their enhanced design and engineered accuracy. Available exclusively through Tectra Automation, this range of electric actuators is made of the EA on-off rotary type, AM rotary modular type and AE on-off rotary type electric actuators. Each has a working noise of 73 dB or lower, with the EA model have a motor with class F insulation and EA & AM have motors with class E insulation. Max. working temperature range of -25 to 55° C. Graduated visual position indicator and auto-reset thermostatic protection in the motor. These actuators have a temp. range of -25 to 60° C, external visual position indicator with graduated top and auto-reset thermostatic protection in the motor. 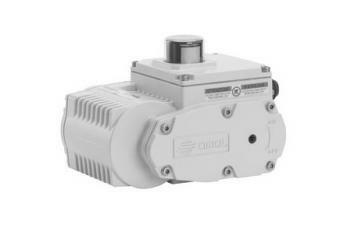 These actuators have a working temperature range of -12 to 55° C and max. working noise of 73 dB. Auto-reset thermostatic protection in the motor. EA On Off Rotary Type: This electric actuator has a 90° working angle, but can get to a maximum of 100°, torque of 10 to 1 960 Nm and working temperatures from -25° to 55° C. They come with safety adjustable mechanical limit switches and a detachable lever for manual operation. AM Rotary Modular Type: Torque from 49 to 1 960 Nm and a working angle for these electric actuators is 90°, up to a maximum of 100°. They also include safety adjustable mechanical limit switches and have graduated visual position indicator. Working temperatures are from -25° to 55° C and supply cables can be locked using cable presses. There is auto-restart protection in the motor, which also has E class insulation and auxiliary limit switches and torque limiters are optional. AE On-Off Rotary Type: This range electric actuators has a temperature operating range of -12° to 55° C and features auto-reset thermostatic protection in the motor. In addition to safety adjustable mechanical limit switches and a detachable lever for manual operation, these electric actuators have nominal working torque from 35 to 240 Nm. Ball bearings support the rotor and IP67 connectors are available with pre-wired cables. 3 plants in Milan, Italy, are used to manufacture and test all Omal process valves. All plants utilise the latest manufacturing technologies, which include a foundry, painting-plant, CNC centre, plastic injections, assembly, laboratories, and quality department. All these technologies enable Omal to exercise maximum control on the different production steps and immediately react to new needs in the market. Omal pneumatic and electric actuators are a part of Tectra Automation’s comprehensive range of Omal process valves. Omal process valves, also available exclusively from Tectra Automation, part of the Bosch Rexroth South Africa Group of Companies, comprise ranges of ball valves, butterfly valves and pneumatic valves. 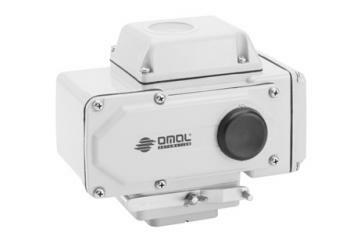 For more than 30 years, Omal has aided operators achieve safer, increasingly reliable plants, manufacturing process valves with high levels of technical expertise and precise standards of engineering. Blast furnaces: Omal pneumatically operated and manually operated butterfly valves used on modular skids for gas mixing used in blast furnaces. Pharmaceutical manufacturing: Omal wafer ball valves with double acting pneumatic actuators are ideal for use in pharmaceutical manufacturing.